Hey lovelies!! Woohooo! 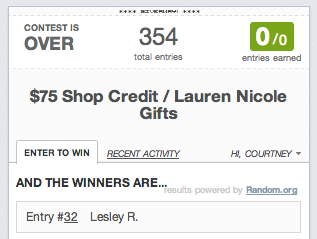 I'm finally back with the winner of the Lauren Nicole Gifts $75 Shop Credit, and all of the official ad space claimers from the Birthday/Blog Anniversary Giveaway in early September! Can't wait to find out what you choose from this great shop! Warning - totally unnecessary to watch this video! So excited! 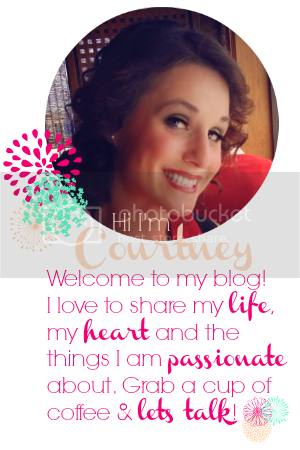 Have really enjoyed your blog and following you on Instagram! Thanks!! :) Glad to have you!